Pepcopp Pest Control Services situated in Mumbai offers high quality of bird control and bird netting services for any kind of premises such as commercial, residential properties etc. Our offered professional, neat & clean bird control services will surely help you to prevent entry of any kind of birds at your place. As a leading bird control experts in the city, we offer environment & budget friendly bird control services to our clients on their premises like buildings, societies, shops, residences and complexes. Our safe and highly effective services completely stop birds like pigeons for landing and nesting in your premises without creating any harm to the birds. We are Mumbai based company which offers effective bird netting services to prevent birds from entering client’s premises no matter residential or commercials. Nowadays birds like pigeons are creating major irritations to many housing societies and commercial complexes in the working cities. They easily create their nest in any areas of buildings like windows, pipes and many open places in the premises. These pigeons not only create environmental but many health related issues also. 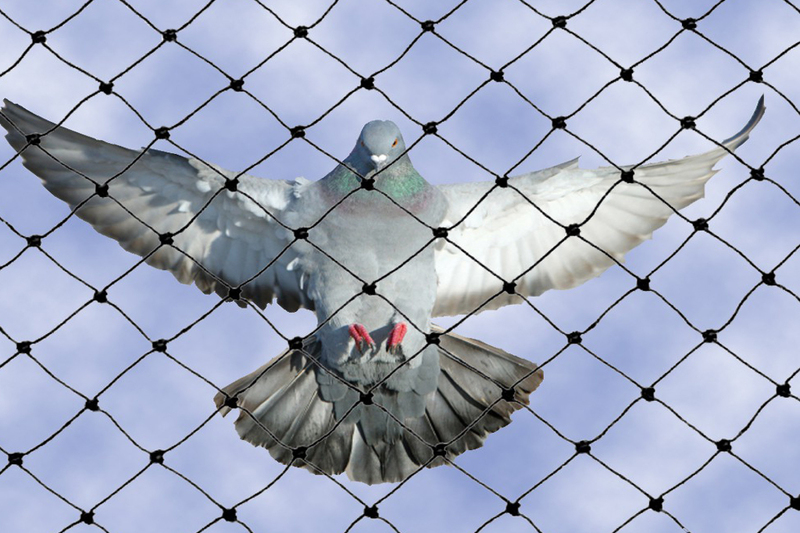 Pigeon droppings can spread diseases like histoplasmosis, cryptococcosis, and psittacosis. So as per the requirement of our clients we perform highly effective pigeon control services program to the infected societies and premises. In our bird netting services we properly clean & sanitize the premises and offer a net cover. Moreover By utilizing various bird catching and trapping equipment we prevent them for making nests in the exterior and interior of the premises. After inspecting the area & finding out the intensity of problem we provide customized pigeon control services to the customers for result oriented service.We have our office situated in Mumbai, Roha, Thane and Pune. We provide our bird control services to all major localities of Mumbai including Churchgate, Marine Lines, Charni Road, Grant Road, Mumbai Central, Mahalaxmi, Lower Parel, Elphinstone Road, Dadar, Matunga Road, Mahim, Bandra, Khar Road, Santacruz, Vile Parle, Andheri, Jogeshwari, Goregaon, Malad, Kandivali, Borivali.Within short span of time we have become one of the leading company in Maharashtra, India for our long term solutions of preventing bird disturbances & providing effective bird netting services in Mumbai, Thane, Navi Mumbai and Pune.